Again the story is told in alternating perspectives between Joey and Dorothy, but it's a little more disjointed because the story Joey is telling takes place a year after Melt left off, and Dorothy is continuing the story of "Melt", picking up exactly where it ended. It was fun to read the shift in the characters during this book. Dorothy is trying to deal with the trauma of what she's witness and experienced and her sections have become the choppy, stuccoed, poetry-like reading we associate with Joey from "Melt". Joey seems to be on the mend after the horrific ending of "Melt". His style of writing has greatly improved and he is now writing longer paragraph, story like, descriptions of events, and even working on improving his grammar thanks to a loving English teacher. 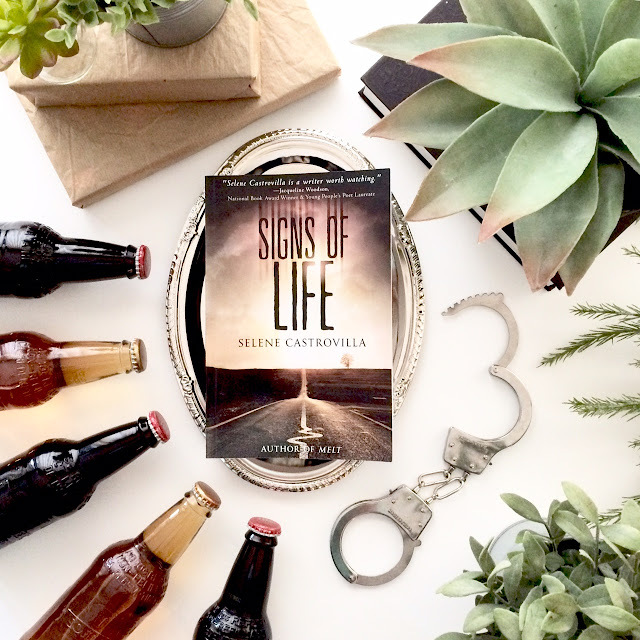 I like that Castrovilla kept to the poetry of writing her story, but I had a lot harder time getting into "Signs of Life" than I did getting into "Melt". With "Melt" the events are traumatic, and horrible, but so realistic that you can't help but think and worry about how often these kinds of things are actually happening behind closed doors. The story has a grittiness to it that totally believable. 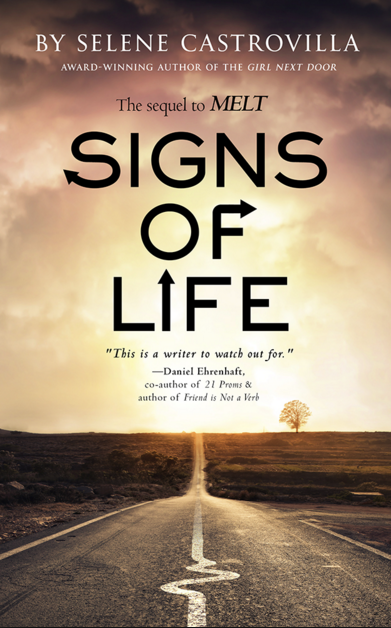 I feel like I can't same the same thing about "Signs of Life" the elements in it took a turn for the fantastic, too convenient and fairly unbelievable. I also had a really hard time with the alternating chapters this time around because Dorothy's were so short. Some times only 30 words and I felt like she was getting interrupted to often to get an understanding of her story. There was a point in the book where I got to overwhelmed with the shortness of her sections and just flipped to Dorothy's sections one after another so I could understand her, then went back and read Joey's narrative strait though. In the end I think this book was still a fun idea, and the writing style is unique and interesting. It's a quick read and a nice way to mix up your book queue. I don't know if I can recommend this one, but I wouldn't stop you from reading it if you picked it up. This sounds like an interesting way to write a book!